Medium while at the same time doubling as your Random Access Medium! 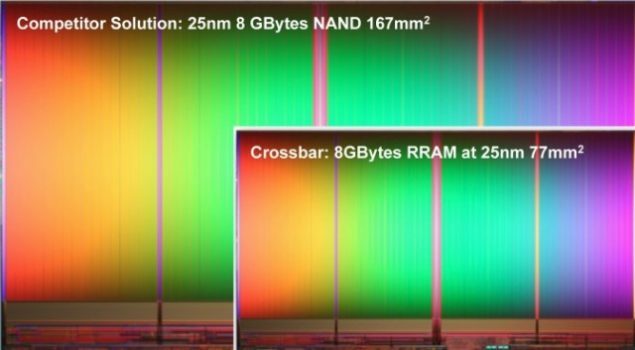 What Is ReRam Ram Memory? resistance can be measured as a 0 or a 1.
exactly would better RAM Memory mean in every aspect of Computer Technology? For the Professional, Better Ram Memory would mean less CPU Bottleneck exponentially increasing the peak performance and parallel computing capability of Supercomputing Clusters and HPC Devices such as Nvidia Tesla and the Intel Co Processor. Processing and Rendering that in most cases the speed of a render or video transcode is directly proportional to the amount of RAM Memory you have. employ textures of mind boggling proportions. Think 8k for entry level. Needless to say this is a pretty big thing.